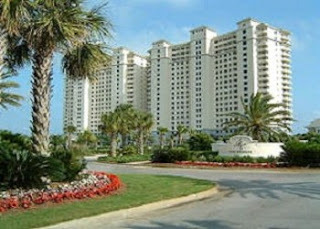 The Beach Club Resort in Gulf Shores/Fort Morgan Alabama is a gulf front rental with numerous on-site amenities. The Beach Club Resort features two restaurants, an ice cream and coffee shop, six pools, full-service European health spa, private gulf-front club, tennis club, gift shops, playground, numerous recreational activities, and of course the white sandy beaches of the gulf of Mexico. Nightly rate does not include lodging tax. Cleaning/ Booking Fee not included in nightly or weekly rate.